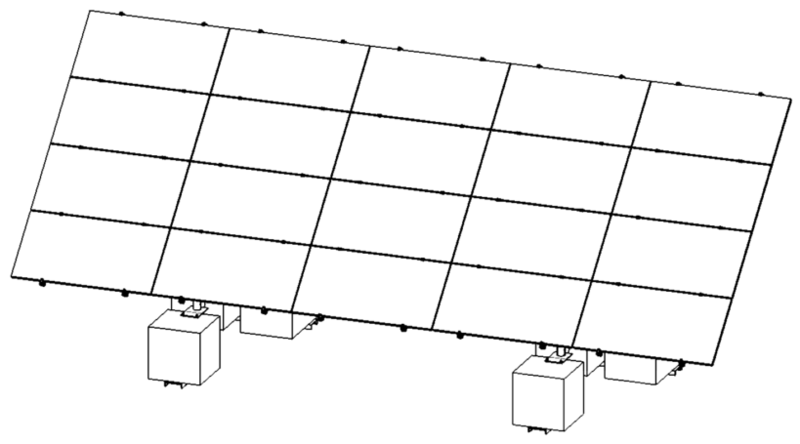 ‍‍‍We recently started manufacturing ballast-supported solar racks! They are comprised of anchor "feet", which connect to the rest of the rack through the insert tubes. The "feet" are then weighed down using concrete blocks (4000kg total on each back foot and 1000kg on each front foot). These racks are especially useful in areas with frost or rock where our traditional ground screws would not drill deep enough into the earth.